Using the Everlast Swivel Professional, a speedball can be fixed on a ceiling. The Everlast Swivel Professional is completely made of steel and therefore resists challenging workouts. 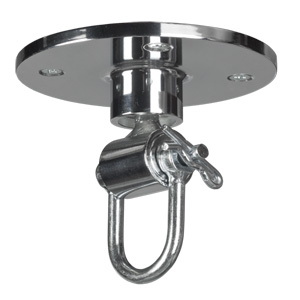 The precise ball bearing in the swivel mount allows high speed actions with smooth and fast rebounds. Proffsig utrustning som funkar perfekt, snabb leverans!